The first FotoIstanbul Beşiktaş International Festival of Photography is bringing together nearly 100 photographers from the U.S., Asia, Europe and Turkey for the most extensive photography event held in Istanbul. The festival's intention is to introduce the art of photography to the residents of Beşiktaş and all Istanbulites through 50 exhibitions, 70 seminars and panel sessions, chat sessions with six master presentations, five evenings of slideshows, 80 photo demonstrations, over 100 portfolio reviews, eight workshops, book signing days and roundtable discussions. 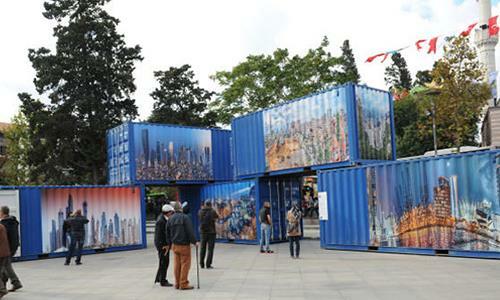 The festival, which is taking place in Beşiktaş Square, is surrounding millions of people with art thanks to the huge open-air exhibitions. Moreover, the event will narrate the stories of cities and people as well as the situation of the city and city-dwellers through photographs within the scope of the theme "Cities and Stories." PhotoIstanbul will host nearly 20 foreign photographers including Chris Anderson of Magnum Photos, Japanese Jun Abe, who is known for his book "Citizens," and the head of the department of photography at Colombia University, Tom Roma. Furthermore, nearly 30 Turkish photographers such as Ozan Sağdıç, Murat Germen, Yusuf Darıyerli, Gökşin Varan and Kerem Yücel will attend the festival as well.